Collections are a good way to organize your Library. By default, all of the books you own will appear in your Library. 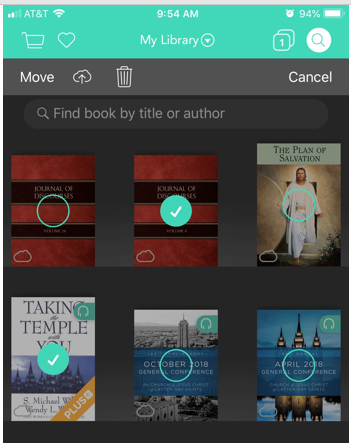 If you would like to organize and separate books, and the filters just won't cut it, then you will be able to organize books into their own Collection. To start off, you'll notice that by default, your Library is set to the Collection: "All Books". All of the books you own will be a part of this Collection. From the My Library tab, tap on "All Books", or whatever name of the Collection you are in. Once this new screen opens, tap on "New Collection". You will then be able to name the Collection whatever you would like. Tap on "Done" when you are finished naming the Collection. You can always rename the Collection by tapping on "Edit" in the top left corner of the Collections screen. To add books to a Collection, you will need to navigate back to the "All Books" Collection. You can do this by tapping on the name of your current Collection at the top of the screen and then tapping on "All Books". 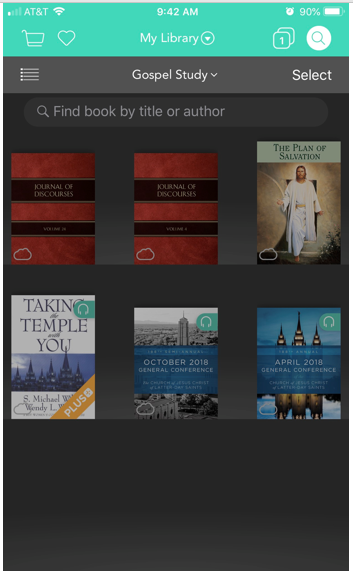 Once you are in the "All Books" Collection, tap on "Select" in the top right corner of your Library. You will notice that the books will then have a green circle imposed on the cover. Simply tap on any book you would like to select to add to your Collection. Selected books will have the circle filled with a check mark in the middle. 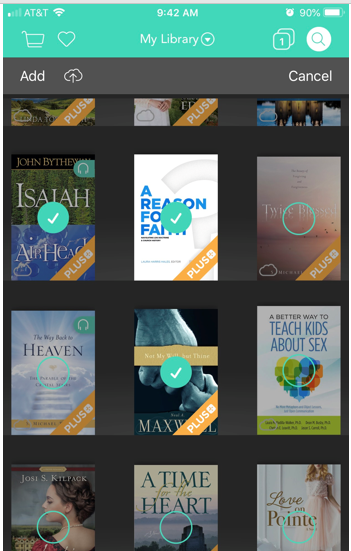 Once you are done selecting all of the books you would like to add, tap on "Add" in the top left corner of your Library. Then select the Collection you would like to add the selected books to. 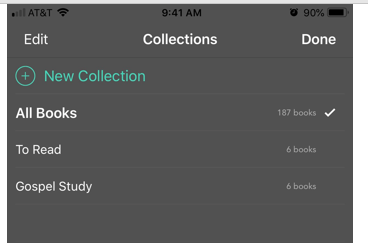 Once you have added the books to your Collection, you will be able to navigate to your Collection by tapping on the Collection name at the top of the screen, and tapping on the Collection you would like to see. You will notice that only the books you have added will appear here. To remove a book from a Collection, tap on "Select" in the top right corner of the screen. You will notice the selection circles will appear on the book covers. Select the books that you would like to remove, and tap on the icon of the garbage can. This will remove the book from that Collection. Note, this will not remove the book from "All Books", nor will it remove it from your device -- just that Collection.